I heard that if you fulton another fulton, the game becomes Silent Hills. Hey gang, what's up? It feels like just yesterday that the staff was rife with an urge for strategy games. That feeling has passed, though, shifted to a slightly more tactical craving. 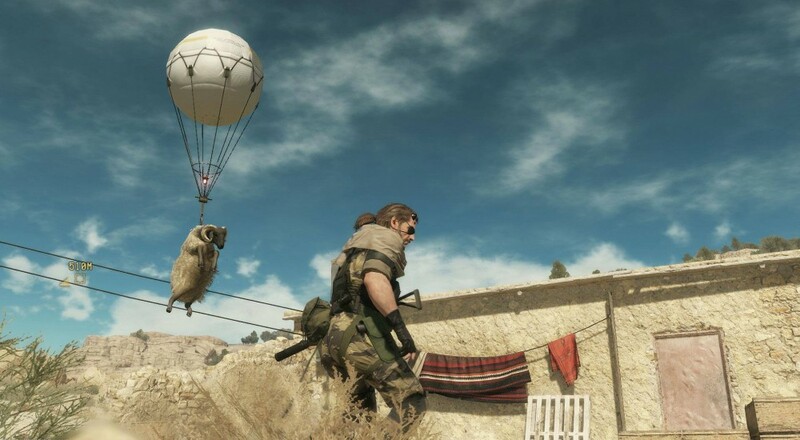 Tactical espionage, that is. Otherwise, we're discovering the magic of the indie gaming scene, yelling at our significant others in space, and playing virtual board games. As always, be sure to check out Eric Murphy tonight at 8pm CDT as he and the F.A.L.C.O. crew take on the somehow wealthy undead. Nick Puleo (@NickPuleo) - "Checking out some Lovers in a Dangerous Spacetime and then something violent, like Mad Max - you know - for balance." Jason Love (@JLove55) - "Fultoning fools in MGS V, continuing the saga of Monk and Cleric in Pathfinder Adventure card game, and maybe poking my head into some Marvel Heroes 2015 from time-to-time." Mike Katsufrakis (@Pheriannath) - "I'm spending the weekend at XOXO, where I'll finally be able to learn what Firewatch is." Marc Allie (@DjinniMan) - "More Toy Soldiers War Chest for me. CO-BRAAA!!" Eric Murphy (@smurph_em) - "We're giving Zonaco another shot in F.A.L.C.O. tonight at 8PM CDT (an hour earlier than usual). I'll most likely play some New Super Mario Bros U with my girls too." John Bardinelli (@itsamejohn) - "Went a little crazy and got some strange indie games off itch.io. Who knows what brands of madness I have just discovered." Sam Tyler (@thereelsamtyler) - "I'll be popping out for a tick for some biscuits, tea, and my weekly recitation of 'God Save The Queen', as is my civic duty." Locke Vincent (@LockeVincent) - "Really want to get some Armello in with peeps as well as capping footage for the Act of Aggression review." Tally Callahan - "I'll be trying to decompress after a long week. More Shadowrun: Hong Kong." Taylor Killian - "I'm going to be Fultoning every living thing straight into space in Metal Gear Solid V."
Enoch Starnes (@enochstarnes) - "I'll be guiding a woefully undermanned spacecraft in Lovers in a Dangerous Spacetime and maybe exploring Everybody's Gone to the Rapture's take on the English countryside." Steven Merced - "Hello everyone, this weekend I will be playing Madden 16 and diving back into Evolve. Might get some Destiny in as well." What does the weekend have in store for you? Are you belly-crawling in Afghanistan, or doing something a little less strenuous? Let us know in the comments!